Located in the North West of South Africa close to the border with Botswana, Madikwe is an excellent malaria-free safari destination for families. Covering over 75,000 hectares, Madikwe is home to over 66 animal species, including the Big 5, and is home to the elusive wild dog, rarely spotted in Southern Africa. 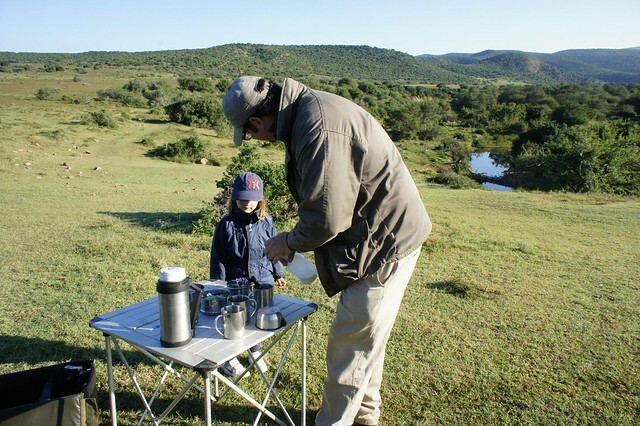 Whilst it is still nowhere near as well-known as Kruger, Madikwe has become known as a child-friendly game reserve and several of the lodges specialise in accommodation families and actively welcome younger guests. No day visitors or self-drivers are allowed into the reserve, so the reserve does not get too congested. Madikwe is an easy 4-5 hour drive from Johannesburg, or a short flight from Johannesburg. Many people combine Madikwe with a Garden Route holiday, or with Waterberg (see below) Our favourite accommodation options in Madikwe are Jaci’s Lodge and Impodimo, both of which offer luxurious accommodation in stunning surroundings. 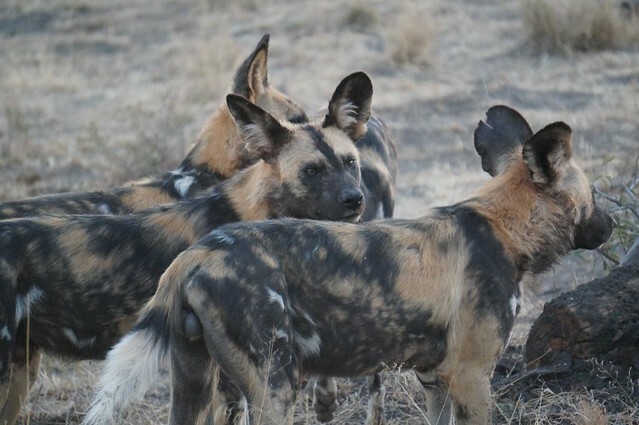 At Madikwe, we were lucky enough to spot a pack of African Wild dogs, a rare sight. Lying to the East of the Garden Route are a number of malaria-free game reserves, including Addo National Park, as well as several private options. At 180,000 hectare, Addo is certainly the area’s largest game park and is a draw card on account of its large elephant population. However, self-drivers are also allowed in the park, so it can become congested. Private concessions, such as Riverbend Lodge (14,000 ha) and Amakhala (7,000 ha) offer upmarket safari options with exclusive lodges and private game drives. The landscape here is fynbos and lower lying grasslands which is different to the denser bush to be found up in other safari destinations in South Africa. However, if you are travelling with younger children this can be an advantage as game is easier to spot. Most people combine the Eastern Cape game lodges with a Garden Route holiday. Two and a half hours to the north of Johannesburg lie the Waterberg mountains, a stunning biosphere home to a plethora of flora and fauna. There are several large-scale land owners in the area who farm, but there is also the stunning Ant’s Hill who specialise in horse riding safaris. Because of their focus on riding, they don’t have predators, so not quite the Big 5, but they do have giraffe, rhino, buffalo and over 40 species of game. If you are not an avid horse rider, it doesn’t matter, as there are horses to suit all abilities. 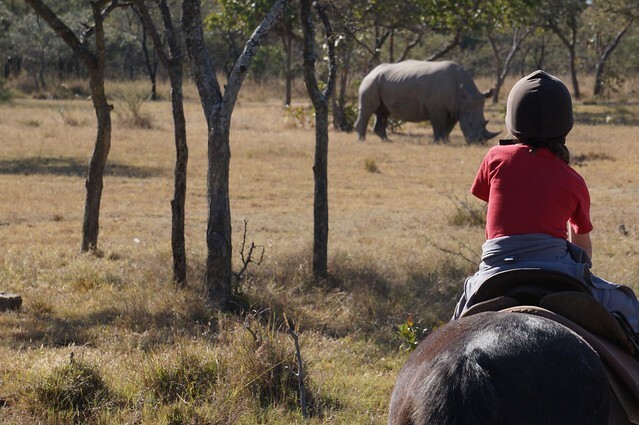 For resolute non-riders, game drives and bush walks are also on offer. Accommodation is in boutique bush cottages with outstanding views. Some people visit Waterberg in isolation, others choose to combine it with Madikwe so they can have a mixture of activities and more traditional safaris. Waterberg is an easy drive from Johannesburg and about 4 – 5 hours from Madikwe. 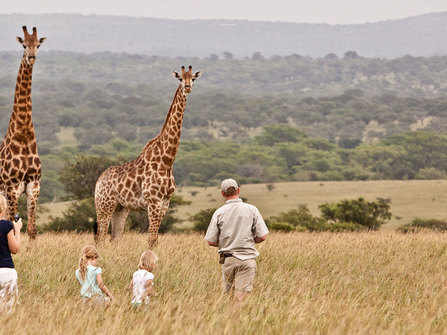 Located in the East of the country in Kwa Zulu Natal, Hluhluwe is South Africa's oldest National Park and is surrounded by several superb private concessions, including Thanda and Phinda. The region hosts big 5 as well as many other species of flora and fauna. The terrain is hilly, with mountains forming an pretty backdrop to the views. Phinda is the best option but also the most expensiv. 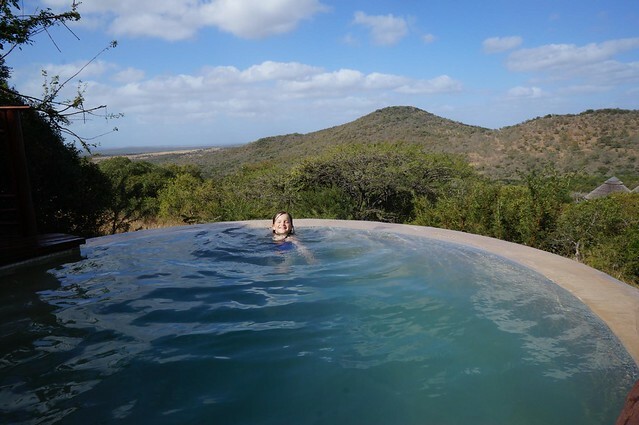 Thanda has fantastic family suites with private plunge pool and Rhino River Lodge and Rhino Ridge Safari Lodge both offer arguably the best value safari experience in Africa. 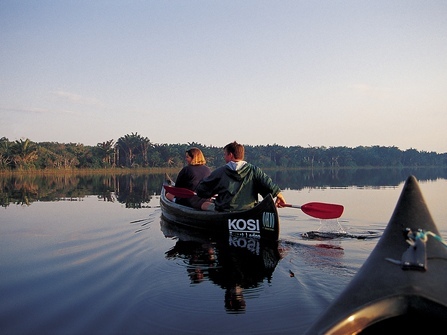 Safari in this region combines well with time on the Coast, exploring the iSimangaliso wetlands, Kosi Bay and the Drakensberg Mountains. Each villa has a private heated plunge pool with gorgeous views.